'Start Here': Trump postpones Pelosi's trip, Rudy Giuliani shifts collusion story, a Women's March controversy. What you need to know to start your day. It's Friday, Jan. 18, 2019. Thanks for choosing to start here. Yesterday, the president sent a letter to House Speaker Nancy Pelosi, explaining he was postponing her official trip to Belgium and Afghanistan. In the letter, Trump cited the ongoing government shutdown as a reason to cut off her access to military aircraft and called the trip a "public relations event." ABC News Senior Congressional correspondent Mary Bruce says some members were already on their way to Andrews Air Force Base when they learned the news. President Donald Trump's personal lawyer, Rudy Giuliani, raised some eyebrows during a CNN interview Wednesday night when he said, "I never said there was no collusion" between the Trump campaign and Russia during the 2016 presidential election. After the interview, Giuliani released a statement clarifying his comments. "I represent only President Trump, not the Trump campaign," he said in the statement. "There was no collusion by President Trump in any way, shape or form. Likewise, I have no knowledge of any collusion by any of the thousands of people who worked on the campaign." ABC News Chief White House correspondent Jonathan Karl explains the controversy. 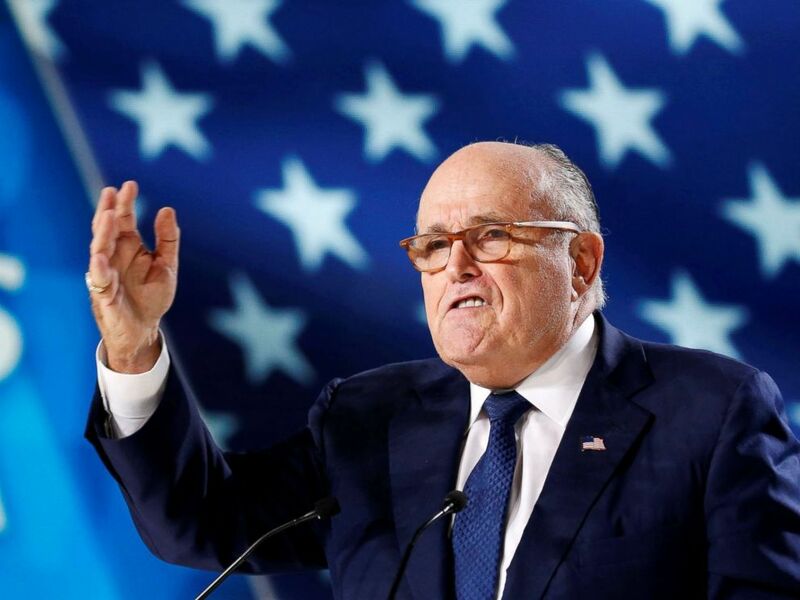 Rudy Giuliani, former Mayor of New York City, delivers a speech as he attends the National Council of Resistance of Iran, meeting in Villepinte, near Paris, France, June 30, 2018. Leaders of the Women's March are facing accusations of anti-Semitism ahead of their third annual demonstration. This week, Women's March co-president Tamika Mallory joined "The View" to defend her association with Nation of Islam leader Louis Farrakhan, who's known for making anti-Semitic and anti-LGBTQ comments. Recent reports from Tablet and The New York Times also allege that anti-Semitic comments were made at the march's planning meetings. The Women's March has put out multiple statements rejecting anti-Semitism on their website, including: "We recognize the danger of hate rhetoric by public figures. We want to say emphatically that we do not support or endorse statements made by Minister Louis Farrakhan about women, Jewish and LGBTQ communities." Two organizers of the Women's March, Linda Sarsour and Rachel Carmona, sit down with us to address the accusations ahead of the weekend. 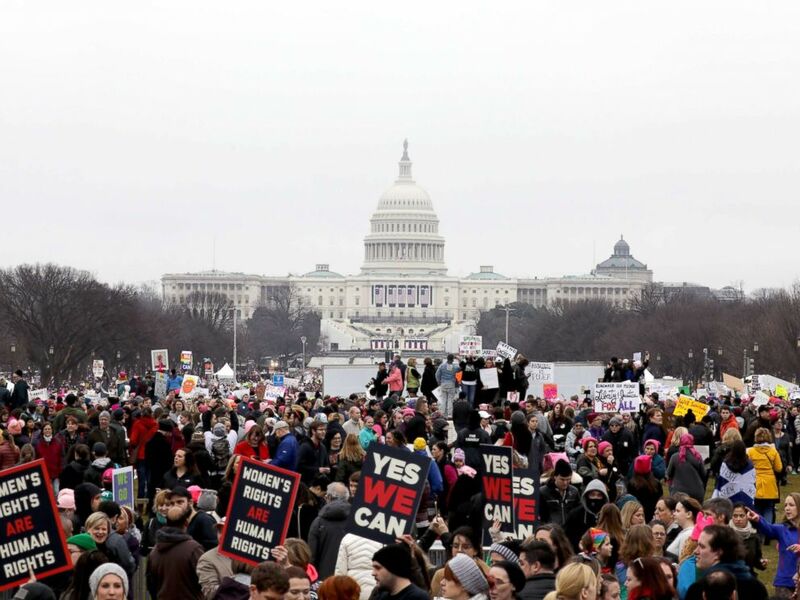 Demonstrators gather outside the Capitol Building during the Women's March On Washington, Jan. 21, 2017. Thousands more children may have been separated from their migrant parents at the border under the Trump administration than previously thought, to a new internal government report has found. There was a "steep increase" of such cases a year before the zero-tolerance immigration policy began, according to the Office of Inspector General for the Department of Health and Human Services. The total number of separations remains unknown. ABC News' Joshua Hoyos checks in from Tijuana, Mexico, where he and a team of producers are documenting the lives of migrants at the border. 'She's really good at Twitter and she's gonna teach me': Alexandria Ocasio-Cortez offers free social media lessons to colleagues. 'He's never going to do that again on this side of town': After a former NFL player spots a man masturbating while leering into his teenage daughter's window, the two men "had a good conversation" -- resulting in a black eye for the suspect. 'Facebook is the most popular social media network in Uzbekistan, Tajikistan and Kurdistan, and Russia uses it to promote its interests and agenda': This is how the Kremlin uses Facebook. Don't worry, MLB -- hitters are killing the shift on their own: ... in all the hand-wringing over the shift, one detail has been overlooked: Batters have adjusted, and they've done it without league intervention or legislation. 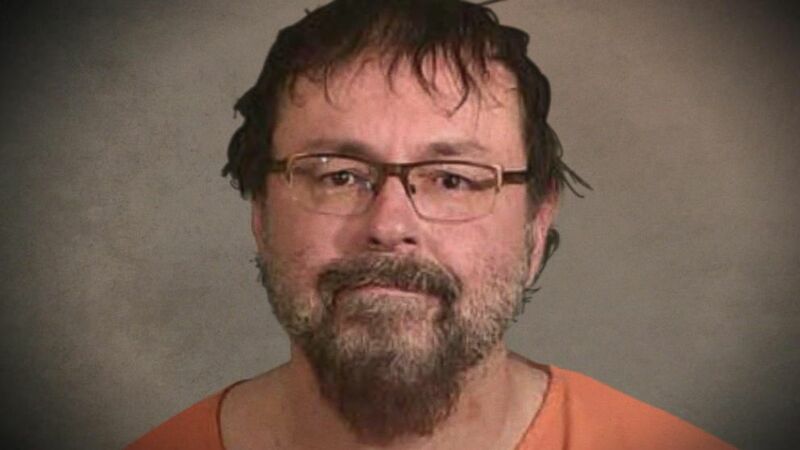 Disgraced former teacher faces kidnapping victim in court: Elizabeth Thomas saw her former teacher, Tad Cummins, for the first time in court since he abducted her and sparked a 28-day nationwide search. 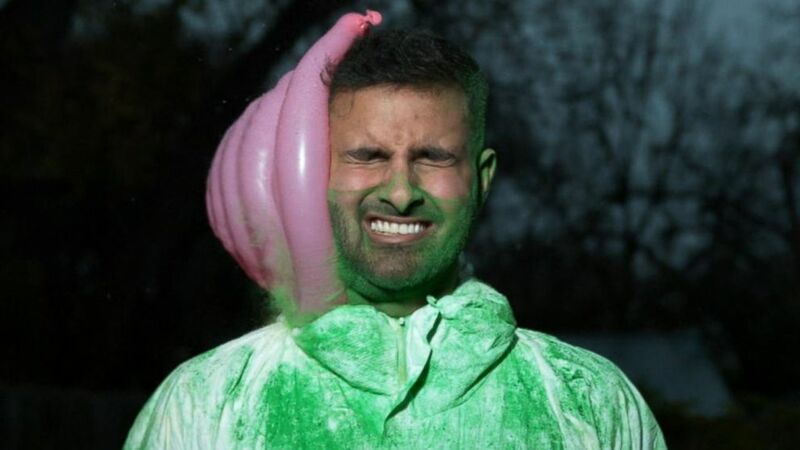 YouTube sensation 'The Slow Mo Guys' turn ordinary objects into extraordinary videos: The English duo of Dan Gruchy and Gavin Free started a YouTube channel with super-slow-motion videos that's turned into an internet smash. 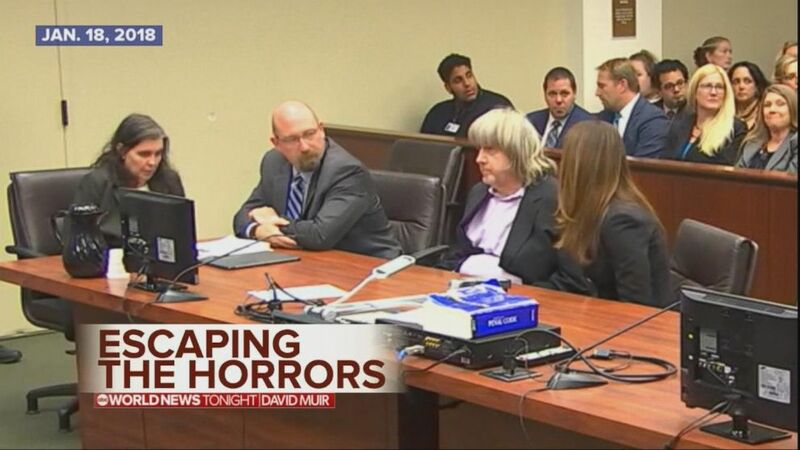 Jan. 18, 2018 -- David and Louise Turpin plead not guilty to systemically abusing their children. 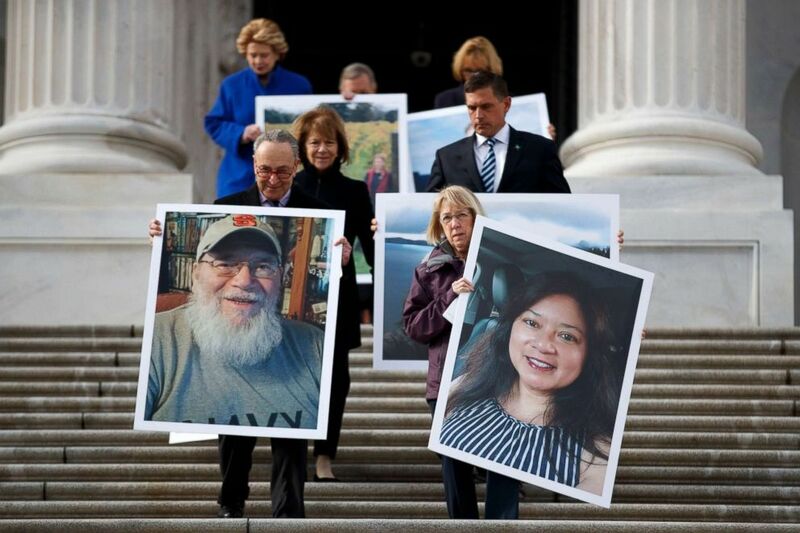 Senate Minority Leader Chuck Schumer, Senate Assistant Democratic Leader Patty Murray and Senate democrats carry photographs of furloughed federal workers during a press conference outside the US Capitol, Jan. 16, 2019. 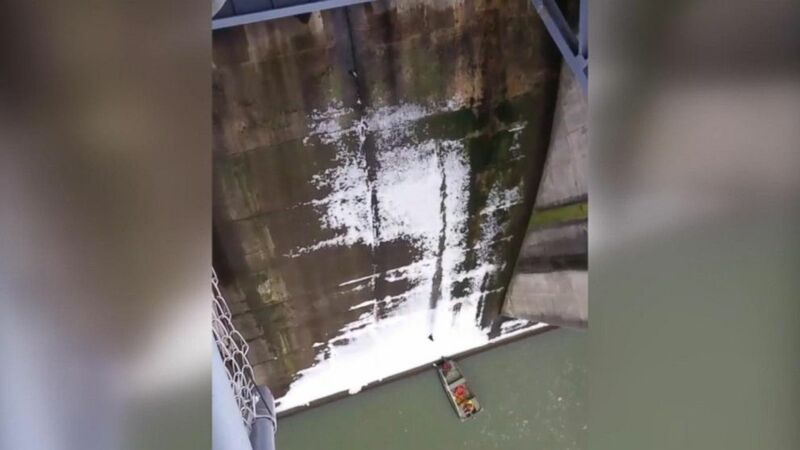 Video captured the amazing rescue of a cat that jumped from a dam to be saved by a group of people waiting below. All right, you're off and running. You can always get the latest news on ABCNews.com and on the ABC News app. Details on how to subscribe to the "Start Here" podcast are below. 'Start Here': Giuliani, Women's March. What you need to know to start your day.